AUSTIN, Texas — We all know that Texans love their football, but there's a new "football" taking over the town and Americans generally call it soccer. Austin's booming growth is bringing in more soccer fans, and now, professional teams. 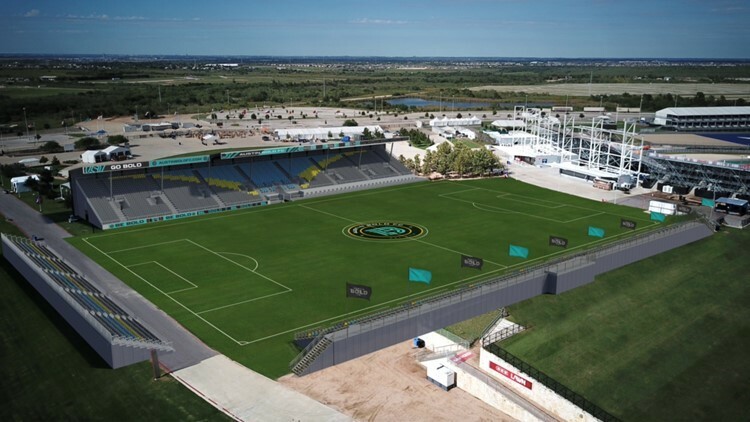 Austin Bold FC, the United Soccer League (USL – tier two of professional soccer in the U.S.) team will play at Circuit of the Americas starting this March. 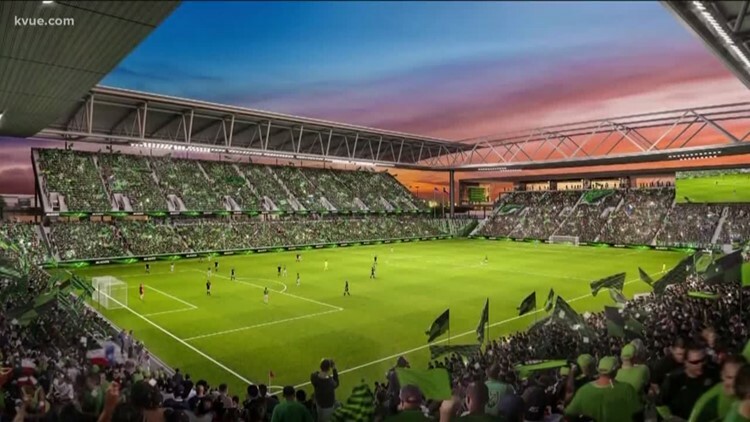 Austin FC, the MLS team playing in a future stadium at McKalla Place, will start in 2021. Austinites were glued to their TV’s watching the FIFA World Cup last summer. According to Jenn Inglesino, media relations coordinator for Fox Sports, Austin finished 4th highest overall among metered markets, with only Washington D.C., San Francisco and Miami ranked higher. On any given Friday, Saturday or Sunday, sometimes in the morning, you could find bars like “The Tavern” or “Haymaker” filled with soccer fans watching European soccer leagues. Soccer support groups like Austin Anthem have taken social media by storm, proudly bringing out the “soccer” in Austinites. Upper Ninety is a youth development program that uses soccer to help teens in low-income neighborhoods around Austin. Youth soccer is also sprawling in Central Texas. Fans believe the two teams will have no problem getting support in the coming seasons. Alexi Lalas, outspoken soccer analyst and former U.S. Men’s National Team player, told KVUE’s Luis de Leon Austin was made for this sport. "Number one, this is a soccer city," said Lalas. "I can smell it, I can taste it, I can feel it and I've been around a long time. This is a place where people want to go and want to live this is also a place as I said that wants soccer." MLS Commissioner, Don Garber, thinks so too. "There's so many exciting things going on in this city – it is a city on the rise, there's massive growth,“ said Garber. Massive growth is also posing a problem for those who want to play for fun. “We would love to have our own field, it’s something we’ve looked at for over a decade,” said Marc Tucci, the founder and CEO of Austin Sports and Social Club. "Unfortunately, we are building out and not up and that makes it prohibited to add more fields unless you are a much bigger municipality,” said Tucci. The issue of land availability is shared among other recreation and amateur leagues, like the American Men’s Soccer Association. “The scarcity of land within Austin makes field space an extremely valuable commodity and most of the available fields are controlled by the youth leagues," said Zeke Stephens, the President of AMSA. "With their huge enrollments and the money they have available, they are able to acquire plots of land and develop them, which in turn allows them to restrict their usage to their participants. With field wear and tear a major concern of any league, that is logical and understandable, but it makes it difficult for adults to find places to play." Tucci and Stephens agree Austin is sprawling with youth leagues and the growth is fantastic to see as soccer leaders in Austin, but playing as an adult is posing much more difficult. With the two leagues combined, more than 4,000 players are signed up for soccer per season. This number does not include other leagues like “Austin Coed Soccer” and the thousands of other people playing pickup soccer across Central Texas every day. In the case of Austin Sports and Social Club, they’ve sometimes ran out of space for players who sign up because the lack of field space limits the number of teams. “When you’re starting games at 6-7 p.m. at night, the lit fields are our only options aside from the Saturday and Sunday morning leagues – and there’s just not enough of them,” said Tucci. This leaves groups of soccer players to use whatever they can find for playing a game. One group KVUE spoke to plays pickup every Wednesday at Katherine Fleischer Park. They’ve had to move from field to field over the years as land has been sold off. Playing behind an old baseball diamond fence, bringing 3 foot nets. “So now, men's league plays in 3 or 4 parks around the county and even those are getting over used and still having to look for more fields,” said Courtney Jackson, a player. At Mueller Park, much of the same – a group started on Facebook called, “Mueller Pickup Soccer” has more than 200 members. The field at the park they play on isn’t exactly “soccer worthy” in their eyes. "It wasn't designed to be a soccer field – it's very bumpy, it's not level, the grass is sub-par but it's the really only thing we have this side of the city that's not belonging to a youth field,” said Josh Klaus, founder of the group. Some people here don’t sign up for recreation leagues because the fields are too far away – especially with traffic. "We like the idea of getting off of work and just coming to a field and having a great game of pickup soccer with people that we know," said Klaus. "It's better than sitting on 35 in traffic." With these issues combined, some people aren’t exactly worried about the growth of support for the sport in Austin, but that it'll be difficult to join leagues. The more people watch soccer, the more they want to pick up a ball and play due to its simplicity. "You can be tall, short, skinny, fat you know – young, old – it doesn't matter," said Jackson. "You know anybody can play, you just need a ball." The growth of opportunities to play is dwindling, even with the two teams coming to town. "Getting actual leagues and full fields – is gonna be a problem – and getting people to leave the urban core and what's outside of their comfort zone in their area, with the increased issue of traffic, and time and the commute is gonna be even more problematic,” said Tucci. So now, players hope the two teams will bring more than just a fan base. "I'm sure they're going to reach out and work with the communities and work with the youth soccer organizations, and hopefully with the men's organizations and they'll get some more field usage,” said Jackson. Soccer leaders in Austin also said, it’s not going to stop any support for the sport. "This sport will continue to grow not only in Austin, but all over the country, which is just catching up to the way the rest of the world is years and years ahead,” said Tucci. “Really pleased that Austin will have the opportunity at seeing professional soccer again, for the first time in several years," said Stephens. "Both Austin FC and Austin Bold will give Austinites the opportunity at seeing top level soccer on a frequent basis. This is nothing but good for our city."